As innovation and disruption enabling organization, we do not see a need for the usually complex and barely understandable terms definition of websites. Our research indicated that the vast majority of internet users do not read them and are at best shocked about the rules when they find out. We try to keep it simple and understandable. 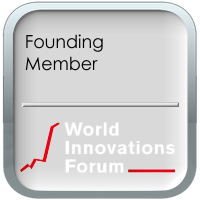 The World Innovations Forum is currently an initiative of Society3 Group and on its way to form an Foundation (non profit organization). We expect the completion end of Q1, 2019. As a user of this site, you agree to respect and work under the following terms. Logo, brand images or any kind of artwork is protected under the copyright law and shall not be used without written consent of the World Innovations Forum organization. You are free to copy or otherwise distribute parts of the educational content or announcements as long as you do not use it for commercial usage and you do make proper attribution, by mentioning our name “World Innovations Forum” without abbreviation and a link to either https://wiforum.org or the page the content was taken from. Data scraping or otherwise automatic or manually copying of data or other content without referencing the World Innovations Forum with the reference link is considered a breach of the copyright law. Posting unlawful, offensive or generally inappropriate content or spam is prohibited. When using our site without registering, you maybe asked to allow us to store cookies, but we do not store any personal information. When you register as a member, your data will be used for communication among other members, as reference for media or other ways in digital or print media. Data is the new raw material and we see it as important as work, education or voluntarily support others. When becoming a member you understand that your data will be used in various ways and you give us the right to use them. Obviously any kind of data are always used without a reference to your personal information including name or email address. Any type of content on our website and other digital or physical properties is provided as is with no entitlement to by accurate. Content may come from many sources and are not exclusively created by the World Innovations Forum. The World Innovations Forum does not take any responsibility for the quality of the content, including potentially unwanted injected viruses or other damage in any way or shape.